We disaggregate end uses of energy from the smart meter using advanced mathematical methods. The Remote Analytics in Buildings concept allows you to manage energy efficiency without having to visit the building. The platform combines electric meter information and other consumption data with climate data, geolocation information and semantic searches to provide reliable and consistent information on how energy is used. 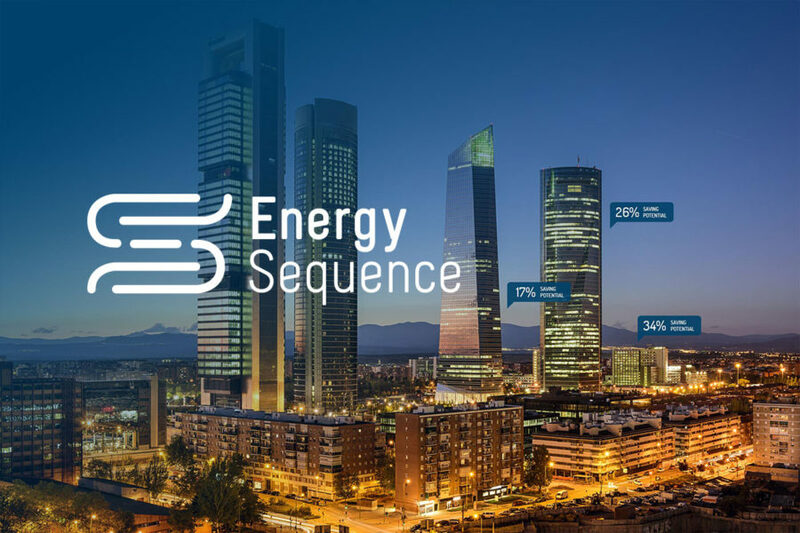 EnergySequence’s underlying technology for disaggregating energy consumption makes use of algorithms based on statistical models, with a combination of neural networks, linear programming and least squares. At an operational level, we are able to correlate and predict consumption, characterize the baseline and provide information on how this infrastructure behaves (arrival and abandonment of occupants, optimisation of on and off, anomalous behaviour, etc. ), obtaining savings that can account for 50% of the total. Simplified building models (direct and reverse) will also allow us to offer a unique recommendation engine. We offer from the selection of the buildings with the greatest potential savings to an in-depth analysis of the selected buildings, turning them into real savings. In addition, benchmarking based comparisons are offered using the available database. The software intelligence platform saves 80% of the time and cost associated with traditional analysis approaches, obtaining information from the systems and the building automatically instead of manually obtaining that data. Therefore, reduce energy demand by using simplified building energy reporting models and sustainable, scalable approaches. Can we help you understand?